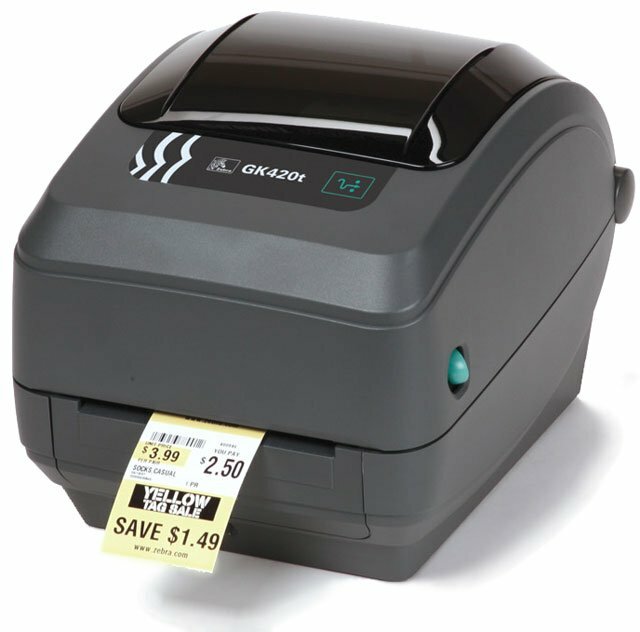 Direct Thermal/Thermal Transfer printing, 203 dpi, 4" print width, USB and Ethernet Interfaces. Includes US power cord and USB cable. Thermal transfer printing, 203 dpi, 4" print width, Serial, USB, Parallel Interfaces, Dispenser. Includes US power cord and USB cable. Thermal transfer printing, 203 dpi, 4" print width, USB, Ethernet Interfaces, Dispenser. Includes EU/UK power supply and USB cable. Thermal transfer printing, 203 dpi, 4" print width, USB, Ethernet Interfaces, and US Power cord. Cables sold separately. This is the TAA compliant version of this product for government purchasers. Please Call for more information. Thermal transfer printing, 203 dpi, 4" print width, USB, Ethernet Interfaces, Dispenser, and US Power cord. Cables sold separately. Thermal transfer printing, 203 dpi, 4" print width, USB, Ethernet Interfaces, and US Power cord. Cables sold separately. Thermal transfer printing, 203 dpi, 4" print width, Serial, USB Interfaces, and EU/UK Power cord. Cables sold separately. Thermal transfer printing, 203 dpi, 4" print width, Serial, USB Interfaces, Dispenser, EPL2, ZPL2, and US Power cord. Cables sold separately. 203 dpi, thermal transfer, EPL and ZPL programming languages, USB and Serial, US power cord. This is the TAA compliant version of printer (Part# GK42-100110-000) for government purchasers. Please call for more information. Thermal transfer printing, 203 dpi, 4" print width, Serial, USB Interfaces, EPL2, ZPL2, and US Power cord. Cables sold separately. Thermal transfer printing, 203 dpi, 4" print width, USB, Ethernet Interfaces, Dispenser. Includes US power cord and USB cable.